Upon returning to the Mediterranean, there was one place I had to see- St. 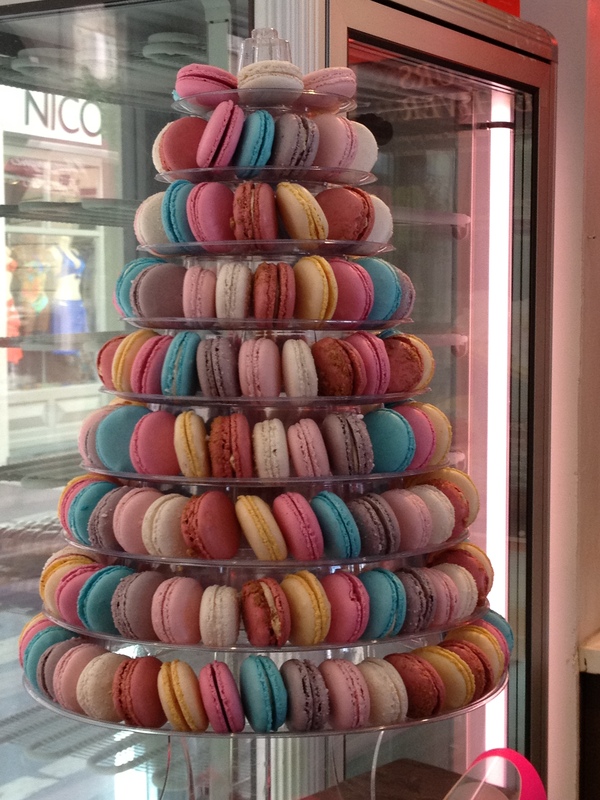 Tropez!!!!! I watched the Forbes top 10 destinations for millionaires and sure enough, St. Tropez was listed. Then I said to myself- I am going there! You don’t have to be a millionaire to see St. Tropez, maybe to sail there on a yacht but not to visit. 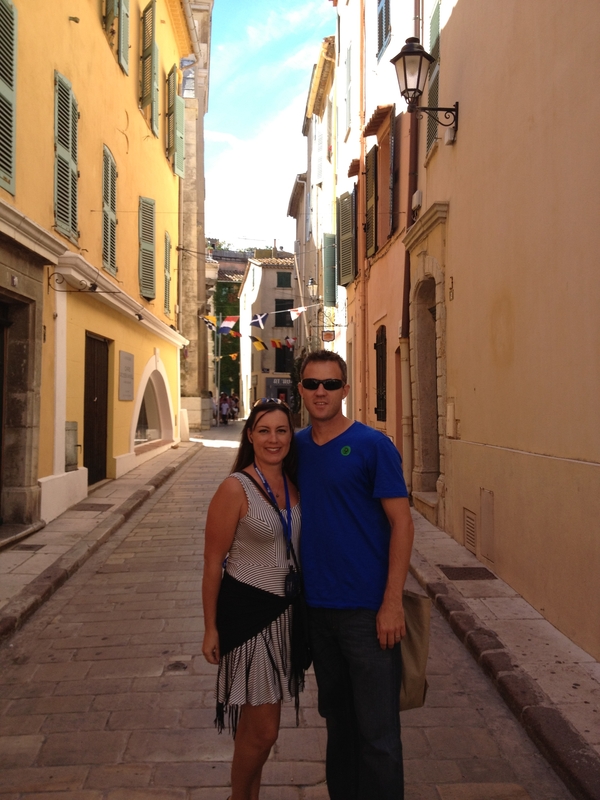 My husband and I had an amazing day in St. Tropez with memories to last a lifetime. It is exactly as I had pictured it to be, picture perfect with sail boats, yachts, fancy clothes, jewelry stores, bistros, pastries in the windows, beautiful women and very clean. There are plants and flowers growing up the sides of the homes, shutters and hotels. 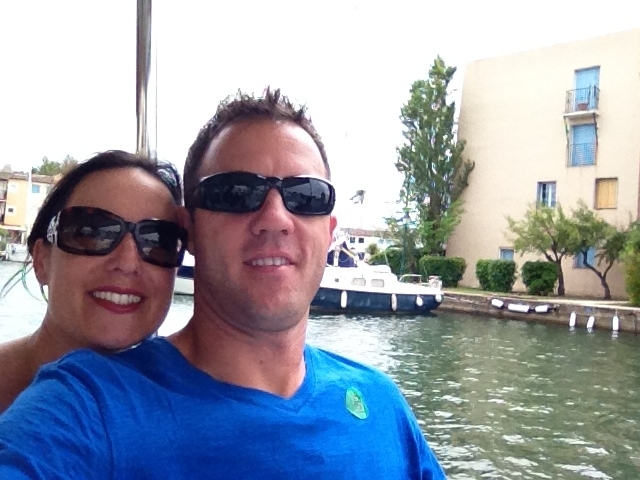 I loved our day in St. Tropez!!! While in St. Tropez, the 2012 Giraglia Rolex Cup was underway. The inshore racing took place with the event’s international fleet. In all there were a hundred yachts, divided into two groups. 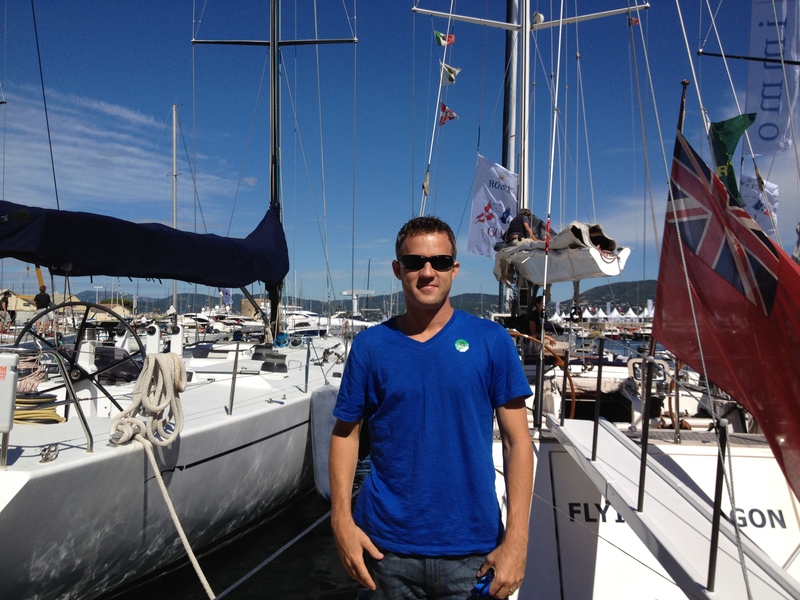 We viewed Maxi yachts which are larger boats measuring over 60-feet. Be prepared to see women without bikini tops. They were working on the sail boats, prepping for the race in bikini bottoms only. It is a sight to see watching the people get off of the yachts dressed in extremely high fashion clothes. The kids had large hats, linen pants and leather loafers. St. Tropez is truly a world of it’s own. History: The port was used frequently in the 18th century. In 1789 it was visited by 80 ships. Saint-Tropez’s shipyards built tartans and three-masted ships that could carry 1,000 to 12,200 barrels. The town was known for various associated trades, including fishing, cork, wine, and wood. In 1860 the floret of the merchant marine, named “The Queen of the Angels” visited the port. At the end of September, a regatta is held in the bay of Saint-Tropez, Les Voiles de Saint-Tropez. This is a draw for many yachts, some up to 50 meters in length. Many tourists come to the location for this event, or as a stop on their trip to Cannes, Marseille or Nice. 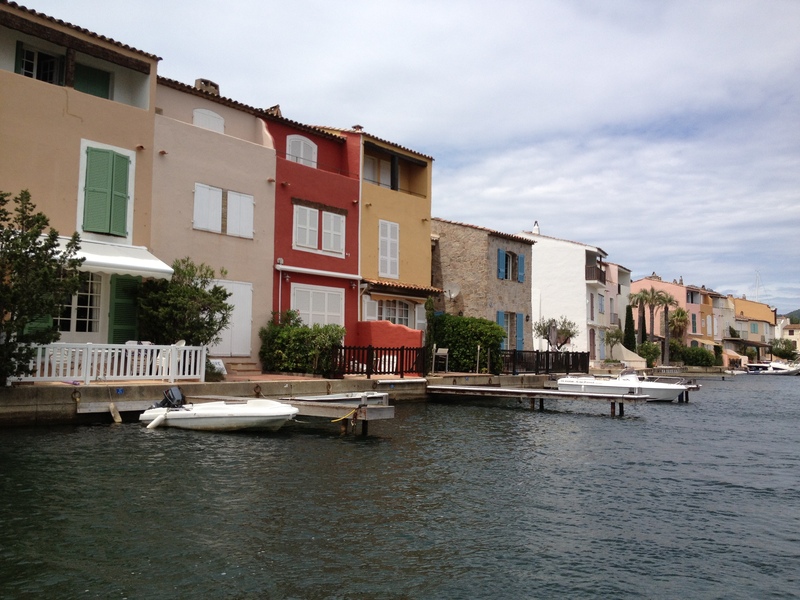 We headed to Port Grimaud for a boat ride around the gorgeous, colorful vacation homes. Port Grimaud is a charming village which is built in Provençale style on a network of canals. 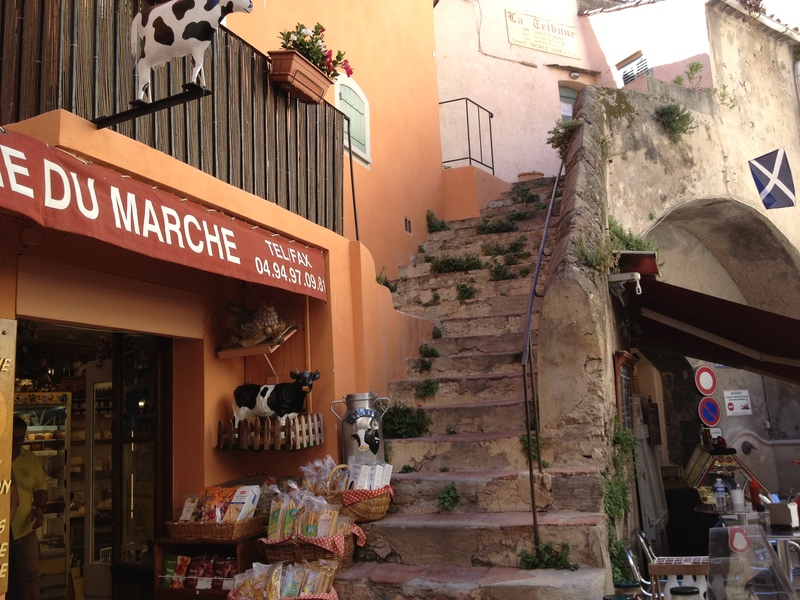 It is full of character and atmosphere as any village on the Riviera, including a typical market held twice a week. The local restaurants can be reasonably priced with their ‘plat du jour’ menus. 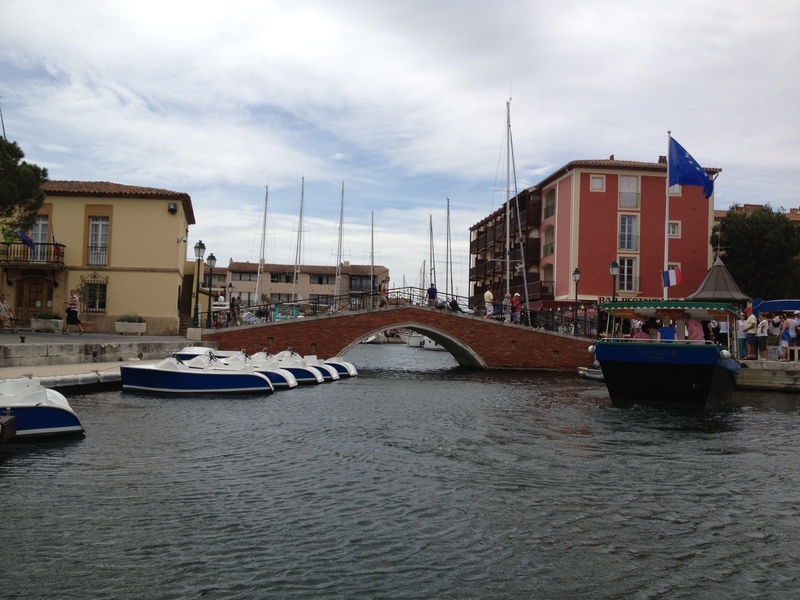 From Port Grimaud, there is a regular boat service to St. Tropez – perhaps the most famous of all the towns – with its harbor and colorful artists, its ancient winding streets and alleyways, pavement cafés and bars, and inviting restaurants. In both Port Grimaud and St. Tropez, water sports are well to the fore. You can enjoy water-skiing, sailing, snorkeling and scuba-diving or just laze about on a pedalo. residences. If you are in St. Tropez just for the day, I highly recommend booking a tour which includes the port, bay, shopping and lunch. 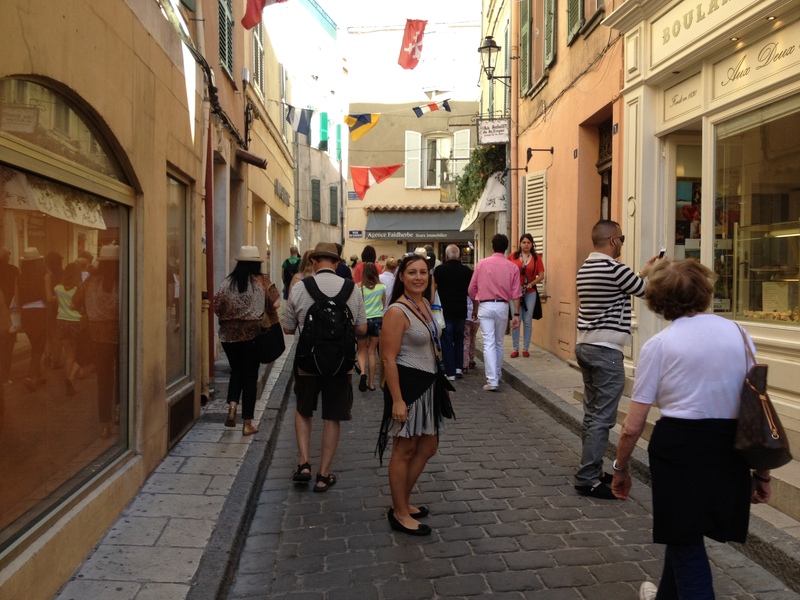 The shopping is extremely pricy in St. Tropez and therefore, I did not purchase anything. We ate at a fabulous restaurant and regrettably, I didn’t catch the name. 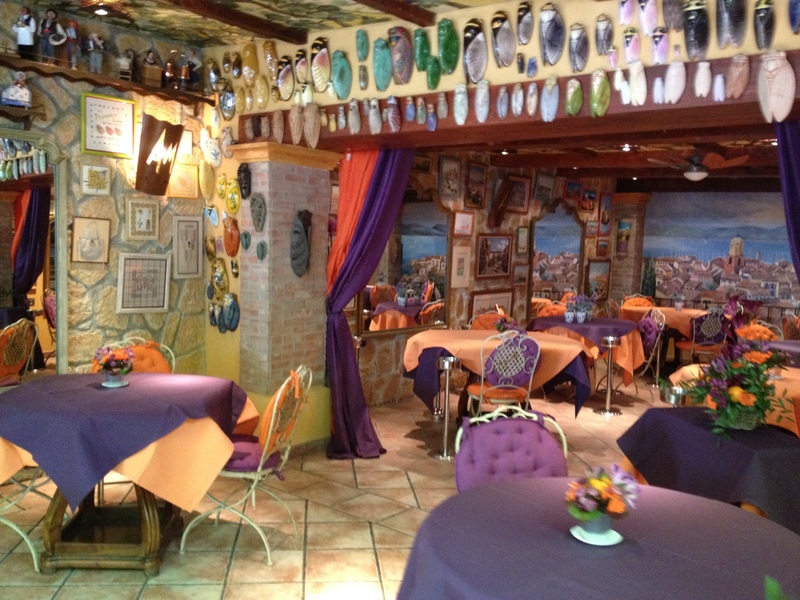 As you can see from the picture, it was a stone building decorated in bright purple, orange and yellow. This is where we sipped rosé wine all afternoon. When booking a package deal, the restaurants are much more cost effective. You have free time to walk about and shop on your own. More on rosé wine: (from French: rosé also known as rosado in Portugal and Spanish-speaking countries or rosato in Italy) the wine’s pink color comes from incorporating some of the color from the grape skins, but not enough to truly be considered a red wine. Rosé may be the oldest known type of wine. The pink color can range from a pale “onion”-skin orange to a vivid near-purple, depending on the grape varieties used and winemaking techniques. There are three major ways to produce rosé wine: skin contact, saignée and blending. Rosé wines are made in several verities: still, semi-sparkling or sparkling and with a wide range of sweetness levels from bone-dry Provençal rosé to sweet White Zinfandels and blushes.